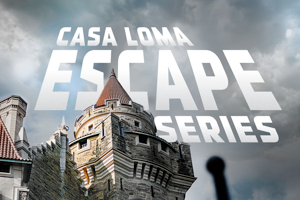 In the heart of the Byward Market you’ll find one of Ottawa’s newest escape room companies, Amnesia Escape Games. It was a chilly and very wet day when we arrived, but the warm welcome we received quickly made us forget how yucky we felt in our drenched clothes. Amnesia’s lobby is suitable for 2-10 people with chairs, wall-mounted couches and some refreshments. They also have an adjacent room with more tables, chairs, and refreshments in a cafe style surrounding. And for those who are electronically addicted and needing a charge station everywhere they go, each seat has its own power outlet. The staff are relatively new to the industry and it showed a little bit in the pre-room introduction. We anticipate there will be less jitters and a smoother transition from the lobby into the game as time rolls along and they feel a bit more comfortable with their pre-room briefing. The room itself is interesting. The physical doors leading into the room are a bit out of place and indicated some cost cutting measures, but once inside there were interesting mixtures of impressive and worrysome building choices. The construction of the Disenchanted Forest itself was impressive, and did a good job of using items, materials and props that fit the theme. At the same time, there were obvious props, mounted items, and fixtures that we knew wouldn’t stand the test of time… Sure enough a few things were already broken even though they’d only been open a few weeks. If there was one lesson we wish we could impart to all new owners and designers from our experience it’s this: “If something can be broken or brute forced, it WILL be broken or brute forced.” We felt bad for the owner of Amnesia because he probably didn’t anticipate just how destructive and/or disrespectful some participants can be inside an escape room… Nonetheless, we know that moving forward they’ll find a good balance of sturdiness with attractive design. Immersion is where this room finds its strength. Unlike most escape rooms where codes, locks, and language are used to keep you moving along, inside the Disenchanted Forest, it’s the surrounding environment and how you interact with it that matters. You’re required to use most of your senses which allows you to experience the sights, sounds, and feelings of being in a small section of the enchanted forest that’s being released from a curse. Does it do a good job of conveying its story and feeling throughout? For the most part yes. It’s a bit weak in the story development, and we had to remind our game master to avoid anxiously jumping in with clues or explaining too quickly, but again it still maintained a pretty good immersive feel throughout. All in all the atmosphere, lighting, and sounds of this room help carry through a lot of the sensations of being in an enchanted forest. 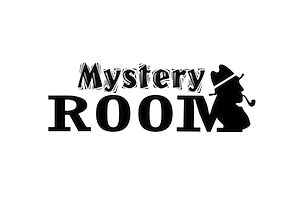 This coincides with the puzzles which again were a bit different than most escape rooms. Because the focus is on interacting with the surrounding environment, it’s easy to advise people who love observational, tactile, and environmental puzzles to play this room — there’s no language barrier because language isn’t used at any point in time! Puzzle enthusiasts who prefer mind bending information gathering, code-breaking, story reading, riddles, or deduction style puzzles may be a bit more disappointed. Our team had a mix of different preferences among us which suited well for this room. So does all of this add up to fun and a recommendation? Well… yes… sort of. This room is different. It has all the immersion, environmental interaction, and fun surprises that will make most people smile and feel good. 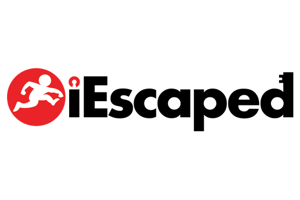 At the same time, those who have a very tight definition on what an escape room “should” be may want to look elsewhere because Enchanted Forest doesn’t present itself in the same manner. There will be moments in time you’ll need experienced puzzle solvers on your team, but this room can be enjoyed by new players also. An ideal team size of 3-5 people is best depending on the level of engagement you want with the environment. If Amnesia continues along its path of building highly immersive and environment focused adventures we have no doubt they’ll soon overcome their “new kid on the block” status and be one of Ottawa’s best new fun attractions!